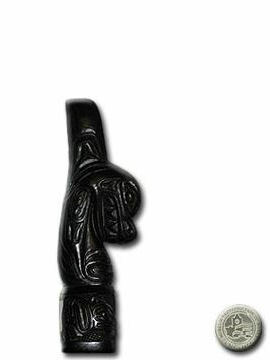 Height 6”, Canadian made. 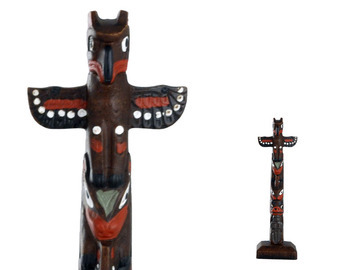 Beautifully carved and painted, this totem features the Thunderbird, Bear and Woman. 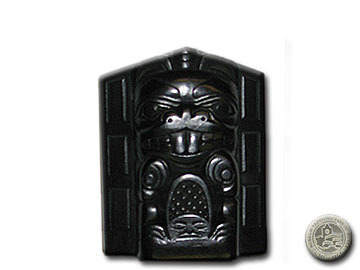 Argillite – Beaver – VII B 1917. 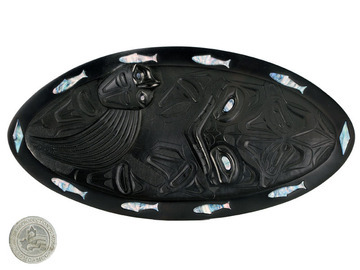 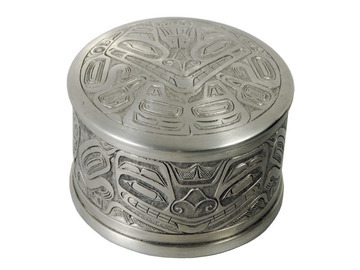 Argillite – Totem Killer Whale over Raven – VII B 1908.